Chiropractic is a safe way to promote healing and optimal function in individuals of any age. Our chiropractor in Fairfax, Dr. Frey, offers chiropractic and other non-invasive services to address a variety of conditions and injuries. Chiropractic can be used to speed healing after an injury, improve mobility and reduce pain. Our holistic approach takes into account the multi-faceted needs of patients. Chiropractic may be paired with other treatments to address a specific condition. 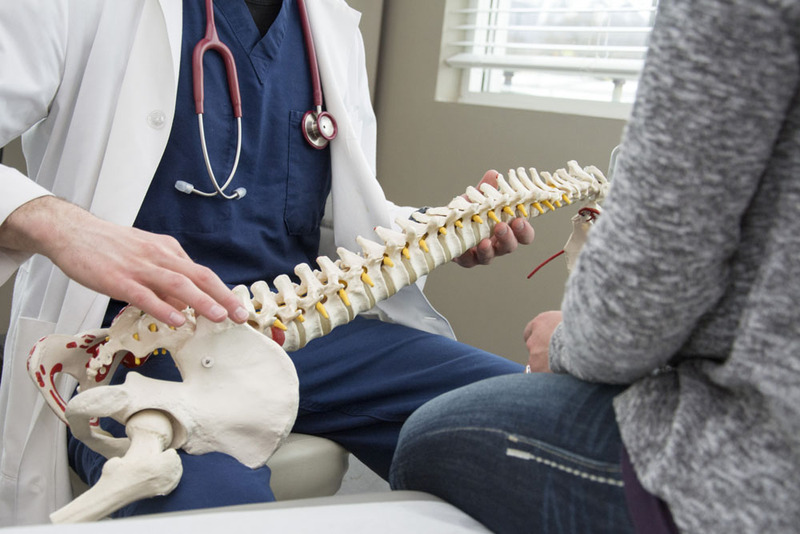 Many patients find they can manage their pain with regular chiropractic treatments, rather than relying on pain medications which can make it difficult to focus or perform routine tasks. Learn more about the conditions treated at Circle Chiropractic Center today. Patients come in to address auto accident injuries including whiplash, sports injuries and injuries from repetitive activities. Rehabilitative treatments are available to shorten recovery times and improve outcomes. Patients may elect to use chiropractic to address or manage one or more conditions or to support overall health. Chiropractic, massage and acupuncture are some of the services available that can help individuals manage and reduce their stress levels. Individuals experiencing long-term stress can be at increased risk of developing a serious health condition, such as high blood pressure or cardiovascular disease. Chiropractic can be useful for those patients experiencing stress, depression or anxiety. We want new patients to get the care they need as soon as possible. In order to expedite the initial intake process, patients may choose to complete our online forms and present them during their first visit. Appointments are available weekdays and on Saturday. The majority of insurance plans are accepted and Family Plans are available at Circle Chiropractic Center. Since 1981, Dr. Christopher Frey has offered wellness services and chiropractic treatments to patients in and around Fairfax, Vienna, Oakton, Reston, Northern Virginia and the metropolitan area of Washington, DC. Many patients experience restored health and vitality through a combination of services at Circle Chiropractic Center, including chiropractic adjustments, nutritional advice, corrective exercises and lifestyle changes. Chiropractic adjustment techniques include the Gonstead technique, the Thompson technique, the cranial technique and the sacro-occipital technique. Dr. Frey uses safe and gentle techniques to provide effective treatment for patients. Call us at (703) 385-2990 to schedule an initial consultation today.